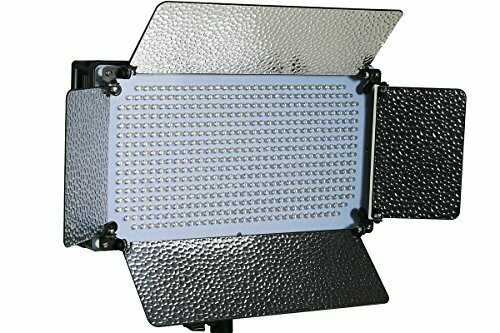 This professional 500 LEDs Photography Lighting Dimmable Panel is ideal for photography and video . The four reflective barn doors can maximize the light efficiency. It provides a wide spectrum, beautifully soft and even illumination. It is ideal for small and medium sized studio and indoor photography. High Energy Efficiency, Long Lifespan, Low Carbon Dioxide Emission, the Best Powerful and Green Lighting Source Ever! View More In Continuous Output Lighting. If you have any questions about this product by ePhoto, contact us by completing and submitting the form below. If you are looking for a specif part number, please include it with your message.